13 years have now passed since the last time the University of Texas won a national title in football. AUSTIN, Texas — Where were you on Jan. 4, 2006? This was the last time the University of Texas Longhorns won a national championship in football after defeating USC, 13 years ago. On This Date: 13 years ago, Texas Football won arguably the greatest college football game in history. 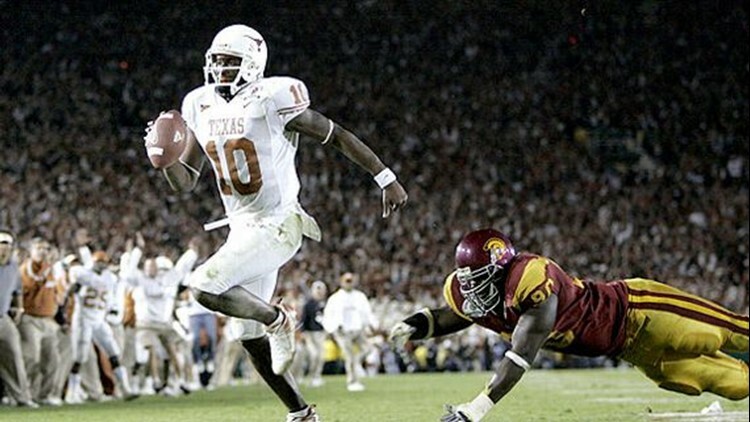 During the season, Vince Young was the quarterback and helped lead the Longhorns to victory in the title game. Texas defeated USC 41-38 after a touchdown by Young in the final minute of the game, which some consider to be the best BCS Championship of all-time.